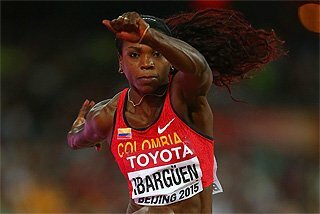 Seven athletes who struck gold at the Olympics last summer are among the 18 past and present Olympic champions who will compete at the next IAAF Diamond League meeting in Shanghai, China, on Saturday 18 May. 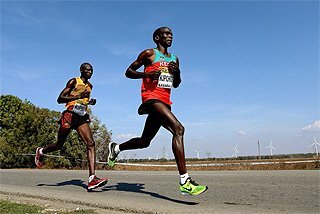 Seven reigning world champions, three world record-holders and a total of 26 2012 Olympic medallists also feature in the star-studded array of athletes unveiled by meeting organisers on Sunday (12) for the second meeting of the 2013 IAAF Diamond League. 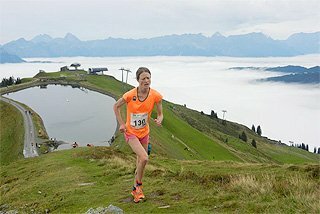 Olympic champions old and new go head-to-head in a number of disciplines while many other world and Olympic finalists square up again in numerous 2012 Olympic Games replays. 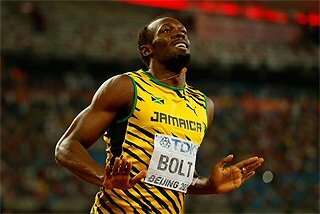 The men’s 400m will be one of the most hotly contested; pitching Grenada’s reining world and Olympic champion Kirani James against the USA’s LaShawn Merritt, who took the gold medal over one lap of the track in Beijing back in 2008. James also faces the two men he beat to claim the Olympic crown, Dominican Republic’s 2012 world junior champion Luguelin Santos, who clinched the silver medal in London, and Trinidad and Tobago’s bronze medallist Lalonde Gordon. No fewer than three Olympic champions meet in the men’s long jump in which Britain’s 2012 gold medallist Greg Rutherford takes on his Panamanian predecessor Irving Saladino and USA’s 2004 champion Dwight Phillips who has not competed since September 2011. 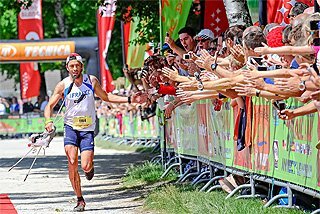 Australia’s world and Olympic silver medallist Mitchell Watt is also in the mix. 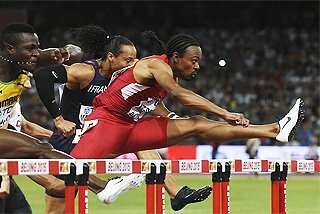 It’s a similar story in the men’s javelin, where Trinidad’s surprise Olympic champion Keshorn Walcott faces Norwegian great Andreas Thorkildsen, the Athens and Beijing gold medallist, while in the 110m hurdles, Olympic champion and world record-holder Aries Merritt meets world champion Jason Richardson, who took the silver medal in London. Three double Olympic champions are among the stars of the women’s events, not least Shelly-Ann Fraser-Pryce whose 100m bout with her US rival Carmelita Jeter promises to be one of the highlights of the show in Shanghai. The Jamaican struck gold in London to retain her Olympic title, leaving the 2011 world champion Jeter with the silver medal. Meseret Defar also claimed her second Olympic gold in London. 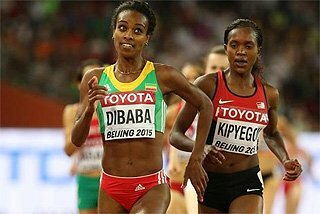 The Ethiopian distance star unleashed a devastating finish to regain the 5000m title she had won eight years previously. 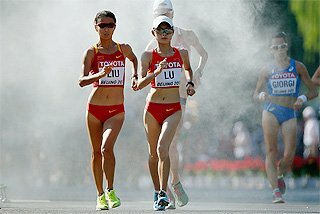 Defar will have her first race over her gold medal winning distance since London and heads a field of talented Kenyans and Ethiopians over the same distance in Shanghai, including the Kenyan pair of Linet Masai, the 2009 world 10,000m champion, 2011 world 5000m silver medallist Sylvia Kibet, as well as Ethiopia’s Genzebe Dibaba, the 2012 world indoor 1500m champion who set a personal best over the shorter distance of 3:57.54 when finishing third at the opening IAAF Diamond League meeting of the year in Doha on Friday. Multiple world record-breaker Yelena Isinbayeva tops the women’s pole vault entries and is aiming to get back on top this year after losing the Olympic title she had possessed since 2004. The Russian, who had to settle for the bronze medal in London, will have her first competition of the year and jump against her compatriot and former world champion Svetlana Feofanova as well as Sweden’s world junior champion Angelica Bengtsson. 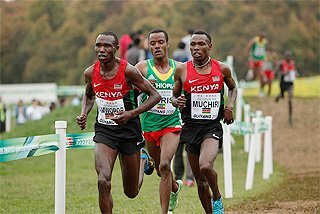 Two of Kenya’s Beijing champions, Asbel Kiprop and Brimin Kipruto, head the men’s 1500m and 3000m steeplechase fields respectively, while another of Kenya’s 2008 winners, Pamela Jelimo, is the top name in the women’s 800m. Kiprop faces his compatriot Silas Kiplagat, the man he beat to win the world title in 2011, plus two other London Olympic finalists, Ethiopia’s Mekonnen Gebremedhin and Kenya’s Nixon Chepseba, while Kipruto takes on no fewer than three fellow Kenyans who have all won an Olympic bronze medal: Paul Koech, Richard Mateelong, and Abel Mutai, who were third in 2004, 2008 and 2012 respectively. 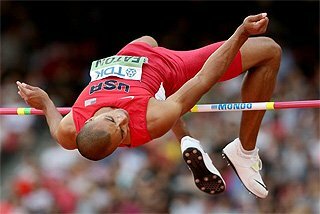 Olympic bronze medallists also feature in the men’s high jump too where Great Britain’s Robbie Grabarz and Qatar’s Mutaz Barshim clash with the USA’s world champion Jesse Williams. 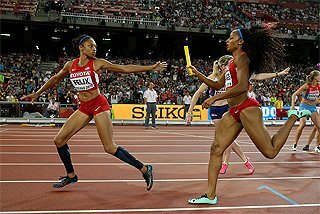 Two more 2011 world champions, USA’s Lashinda Demus and Ukraine’s Olga Saladukha, feature in the women’s 400m hurdles and triple jump. 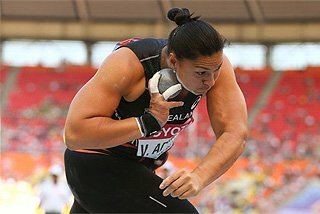 Chinese fans will have plenty to cheer as well, not least in the women’s shot put where Olympic bronze medallist Gong Lijiao faces the USA’s world bronze medallist Jillian Camarena-Williams. There’s also China’s new sprint hope, Zhang Peimeng, who clocked 10.04 to make a huge improvement to the national 100m record last month. Peimeng will be looking for another national record in the 200m when he takes on Jamaica’s Olympic bronze medallist Warren Weir of Jamaica, and the USA’s 2005 world 200m champion Justin Gatlin.